Diane is a trained Nurse Gerontologist since 2000 and has her own professional care management business, where she assist families and friends with planning and caring for their senior or disabled loved ones. She also functions as a Certified Mediator for Riverside County Courts and privately provides Elder Mediation Services. Diane is not only a strong advocate for the elderly, she also promotes improving how we are living until we die, along with development of good palliative care practices in health care systems. She now functions as a health care advocate and has founded non-profit organizations, most recently Graceful Passages. Her volunteerism includes volunteering for the Alzheimer’s Association and facilitates a weekly caregiver support group, volunteer lay chaplain, and helped develop the Twilight Vigil Program at Eisenhower Medical Center, “No One Dies Alone.” She has served as a Board Member for Parkinson’s Resource Organization, President of Oncology Nurses Organization Desert Chapter, a Faith Community Nurse, and a committed Rotarian. Diane received her Master’s degree in Nursing Administration and certification in Applied Gerontology from California State Los Angeles in 1989, and worked for Kaiser Foundation Hospital from 1982 to 2003 where she managed their Home Health, Hospice and Skilled Nursing Facility Services. Diane has presented many workshops on advanced care planning and giving, end of life decisions, living wills through Southern California and Coachella Valley. She was a featured presenter at the 2015 National Aging in America Conference. 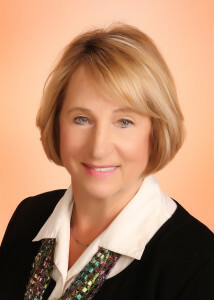 Diane serves as a Certified Mediator for Riverside County and provides family mediation services.